Jason is reading The Big Book of Nonsense underneath the computer tables. 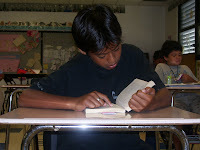 Anthony is hard at work in the first book of the series The Lightning Thief. 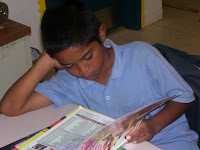 Just for the record: Anthony improved his reading level by over two levels!!! 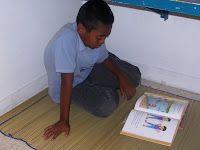 Who says boys don't like to read? 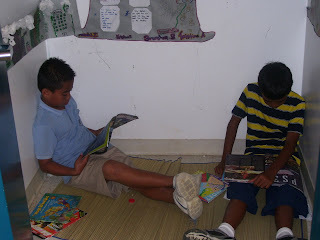 Dominic and Yu-Gi-Oh are reading together. Dominic also improved by 2 levels.